Did you see flasher in Great Barford? The hunt is on for a young man who was seen ‘flashing’ in Great Barford. Police are appealing for witnesses following a report of indecent exposure on Bedford Road in the village. At approximately 12.28pm on Friday (6 October), the force received a report of a young man seen indecently exposing himself in Bedford Road. 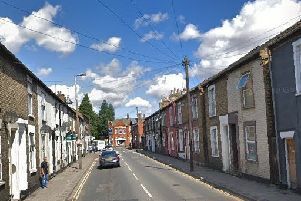 A short time later he was seen leaving the village on a silver bicycle, heading towards Bedford. He is described as being approximately 17 years old, white, skinny, with dark hair, wearing a bright blue long-sleeved top. Anyone who believes they have seen a young man matching the description or has any information is asked to call 101 quoting reference number: JH/43038/2017.